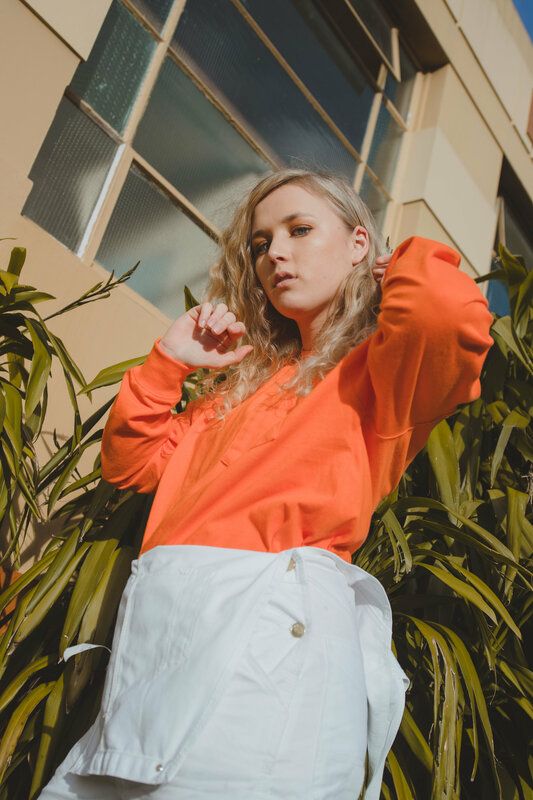 Born and raised in New Zealand, Nakita is one incredibly refreshing up-and-coming artist to hit the music scene, helping to solidify the ever-growing roster of incredible musicians pouring out of New Zealand each year. Her latest tune, "SUCKA”, was co-written with Matthew Young and Grammy-nominated producer Leroy Clampitt - which of course, went straight to local radio and garnered much love on Spotify alike. With over 2 million Spotify hits and counting, we had to catch (up to) her for a chat! Tell us a little about yourself Nakita, when did you start creating music? I grew up on a kid’s camp in a small country town, north of Christchurch, NZ and I cannot remember a time where I wasn’t singing everywhere I went. My brothers and I started a little family band when we were all in Primary School - I took it so seriously, even though we were all so young. I later pursued music through an Artist Development Program, and after graduating, I moved to Auckland to dedicate everything I had into doing what I love. It was from being a part of a band and regularly writing songs from an early age that I developed a bond with music, from that point onwards I was set on being a musician for the rest of my life. "Nothing beats performing on stage and taking the messiness and chaos in your head and turning it into something beautiful, that's worth sharing." Listening to and watching upcoming artists who aren’t playing into the industry ‘cookie cutter’ game. I love keeping my eye on people who are 'breaking the rules' so to speak in the music industry, and who are stepping out of the generic mould that so many artists fall into every year. It's hard to pinpoint one artist who has shaped what I do because, due to streaming services like Spotify, there's a continued plethora of influential artists and new releases. I might dislike a song someone has created, yet love one aspect of sound they've created within the track. That one sound could be influential to the next song I make. Its an endless road of inspiration for me. We’ve noticed you rocking Dickies red coveralls! How did you get onto those? Yes, I wore the Dickies Overalls to the New Zealand Music Awards last year! - A great outfit for the night. We went outfit shopping for the awards and came across the coveralls in a little boutique store in Auckland. I’ve been into wearing ‘Boiler Suits’ on stage, so when we came across these (which were an exaggerated version of what I would wear for my performances) they felt so right for the red carpet and award show! Obsessed. Tell us about your artistic process for a new song? How often are you writing? Most recently I’ve been using a website called ‘Splice’ to find inspo' to start a song. Splice is a hub of free production samples which you can loop and make simple tracks. I often find little samples that might repeat a chord progression, I then sing over the top to craft a melody for the song. I work on that basis to curate the other areas of the track until its done. Sometimes when I can’t find a sample that grabs me, I’ll play around on the piano till something sticks. I’m in the studio every week and also try my best to write with one other artist/producer a week. I believe collaboration is key, and it's been a foundation of my journey as an artist. 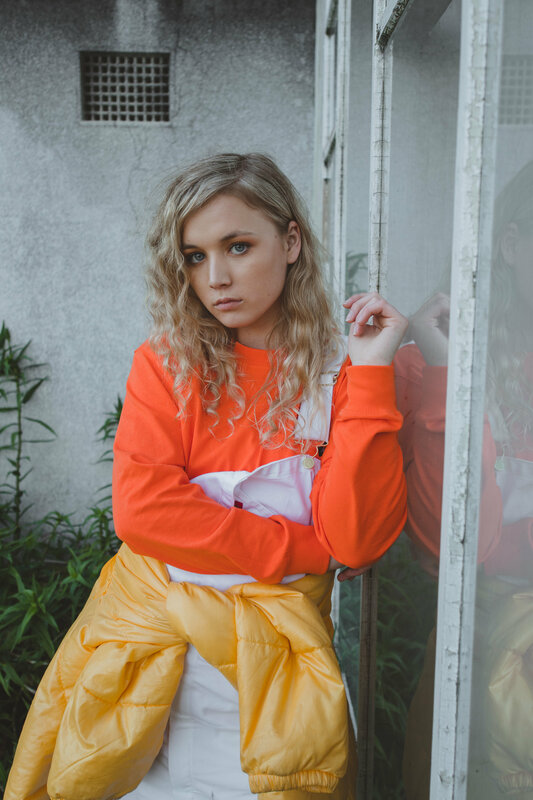 Some great artists are coming out of NZ lately – Connan Mockasin, Matthew Young, The Butlers to name a few… Any you would like to recommend we check out? Heck yessss… they are amazing! I’m loving BENE, Balu Brigada, BOYBOY, Jess B, Watson, Chelsea Jade, LA Women... I could go on foreverrrrr. I’m working towards my next release at the moment and still in the process of figuring out which direction I want to take the sound. I’m hoping to do a few collaborations with various artists too. For now, I’m concentrating on the live performance side of my music and getting ready for the upcoming summer season! In Auckland, I fricken' love going out for a night of Karaoke at the Rock Bar on Queen Street. My go-to place to eat would be ‘Momo Tea’ in Newmarket which is open till late - 1 am or some ridiculous hour. They have a whole ‘Bubble Tea’ menu there which my mates and I always order from (Papaya Flavour is the best + Pearls). My go-to drink would be ‘Peach Nata… without the Nata’ (Ha!) which I order at ‘momo’ too. Also, to clear my head, I like to walk up ‘Mount Eden’ on a nice night or drive round to the Northshore where there is this unreal parking lot under the harbour bridge, which looks out over the water to the most beautiful city view at night. You can check our her Instagram here. 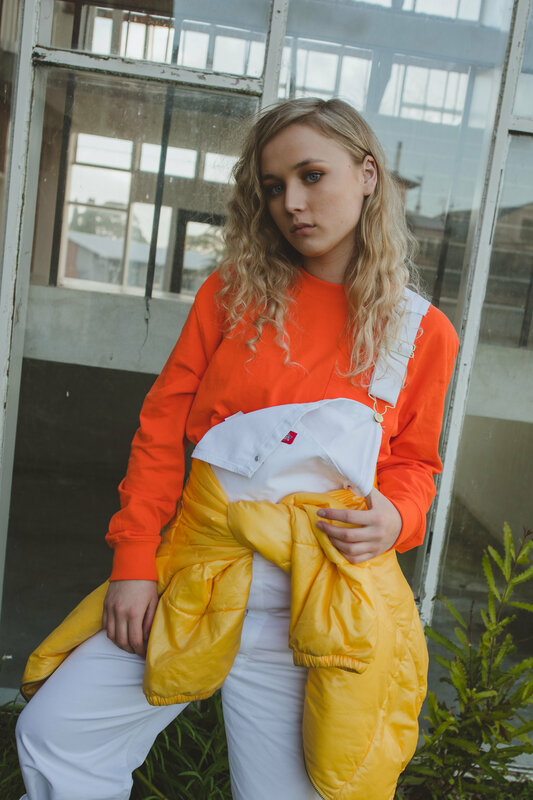 Nakita is wearing the 8953 Painters Bib Overalls and the WL450 Long Sleeve Heavyweight Crew Tee.